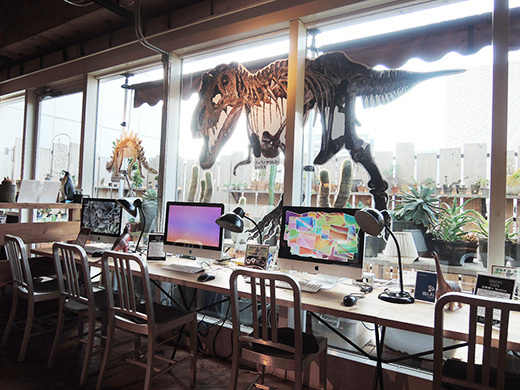 HANDS CAFE SHIBUYA collaborate with Fukui Prefectural Dinosaur Museum. 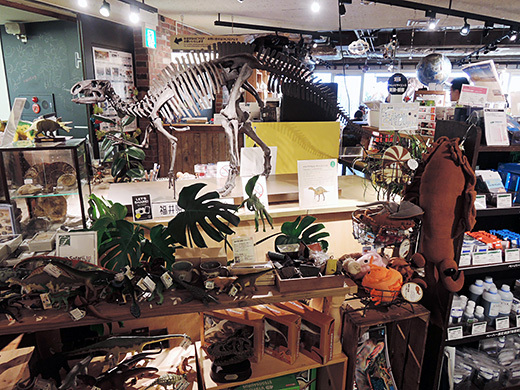 All around the cafe is decorated with tons of dino motif and goods – some of these were came from Fukui. We had Dino-latte and Dino iced chocolate drink. 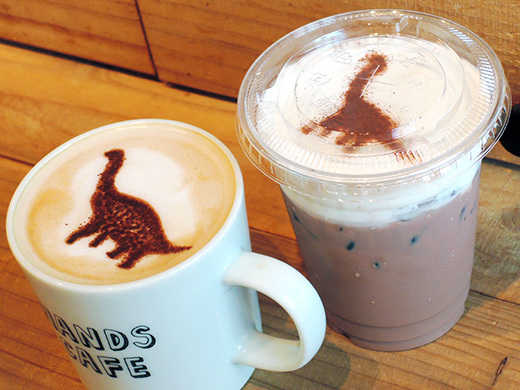 We could choose from two kinds of the latte-art, “Fukuiraptor” or “Fukuititan”. 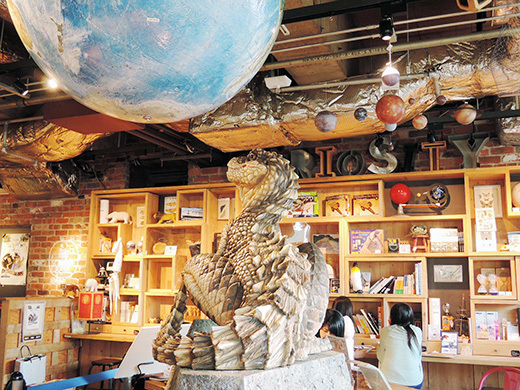 Both of these dinos are found in Fukui prefecture. Dino cafe start! - HANDS CAFE SHIBUYA (blog post) 7/19 Sat. – 9/15 Mon.